August 24, 2016 By Allyson 1 Comment This post may contain affiliate links. Read my disclosure policy. 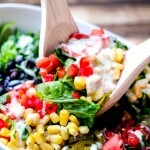 Southwestern Salad with Jalapeno Ranch is mouthwatering delicious! 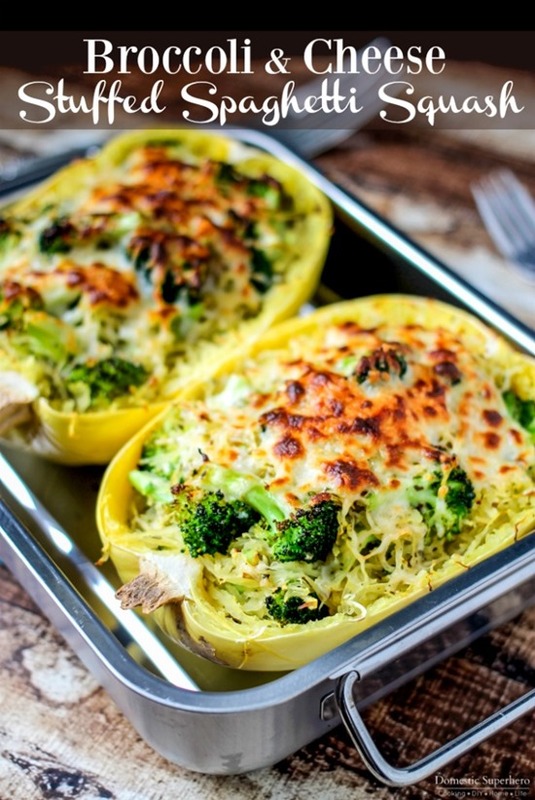 You probably have most of these ingredients at home! You know what, sometimes we have to put the decadent delicious fattening recipes aside, and make something our body will thank us for…enter Southwestern Salad. 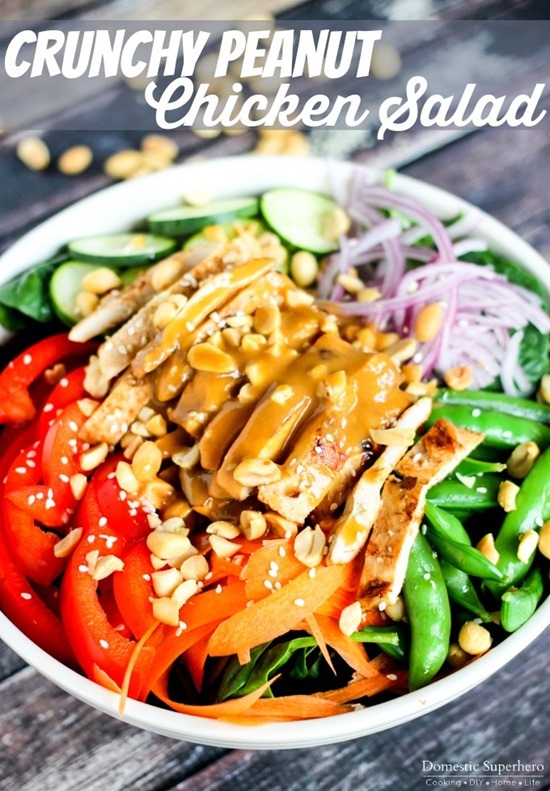 I love love love this salad because it’s full of delicious healthy ingredients, yet it still feels a little indulgent with the jalapeno ranch on top. It comes together in just a few minutes, and you probably have most of the ingredients at home already. 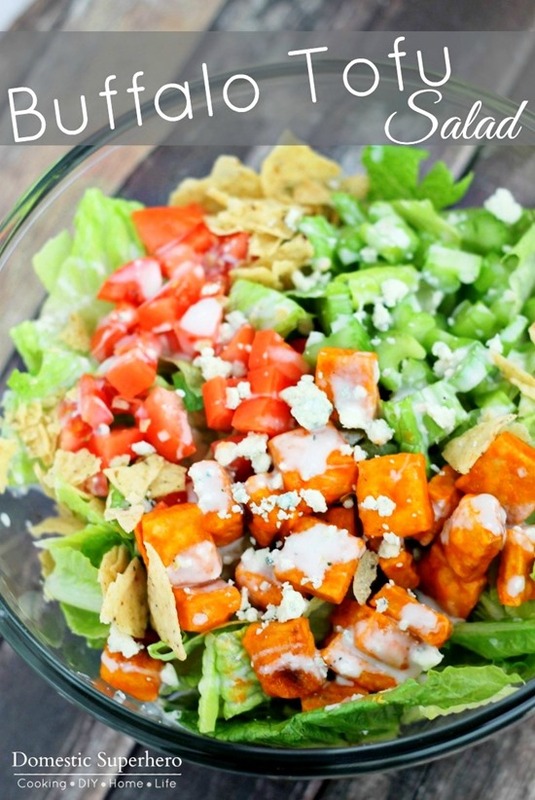 You have to try this Southwestern Salad with Jalapeno Ranch! Want to see how to make it for yourself? Check out this video! 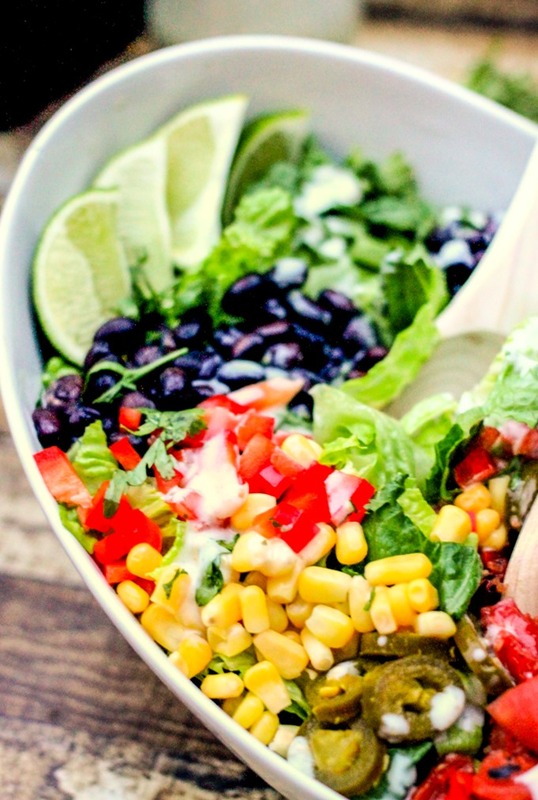 This salad is loaded with romaine lettuce, corn, tomatoes, red peppers, jalapenos, black beans, cilantro, lime, and then topped with a spicy jalapeno ranch dressing. 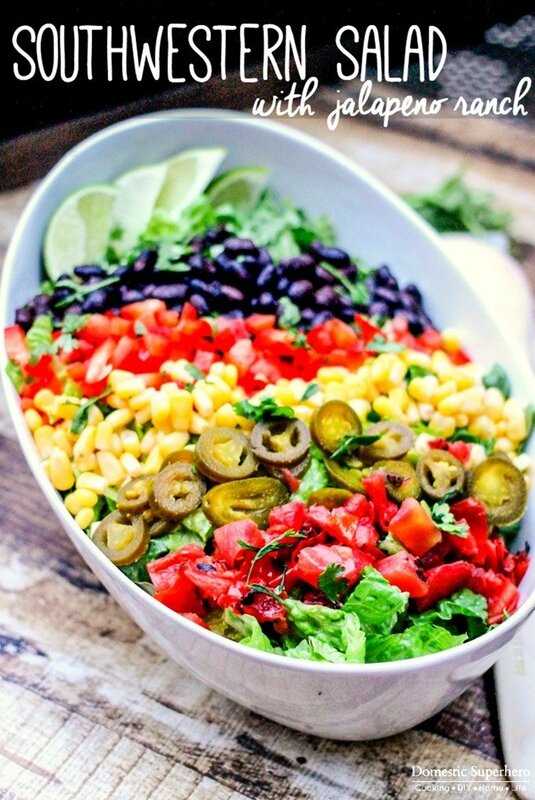 You seriously have a tasty rainbow salad going on, and once you mix it all up, everything is distributed evenly and so mouthwatering good! I wanted to make my salad with fresh tomatoes, but then I realized I didn’t remember to grab them at the store – ahh! Don’t worry, you can sub in diced canned tomatoes if you run into this issue. I used fire roasted diced tomatoes which kicked the recipe up even more – soooo good! 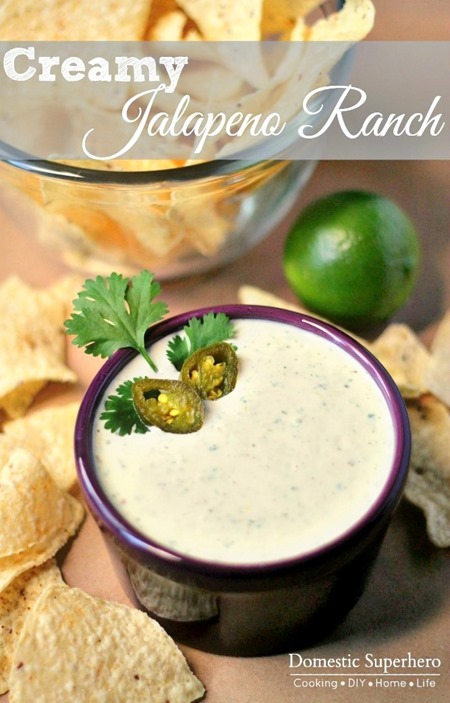 If you aren’t a fan of jalapeno ranch, I suggest you switch it up and use my cilantro ranch dressing – it’s also super tasty and not spicy! 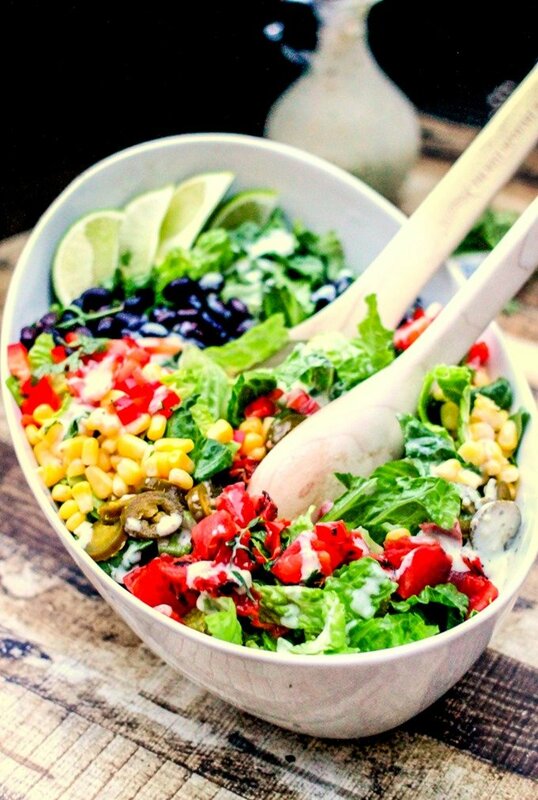 Place your lettuce in a serving bowl. Top with tomatoes, corn, jalapenos, red peppers, and black beans. Squeeze your limes over the salad. 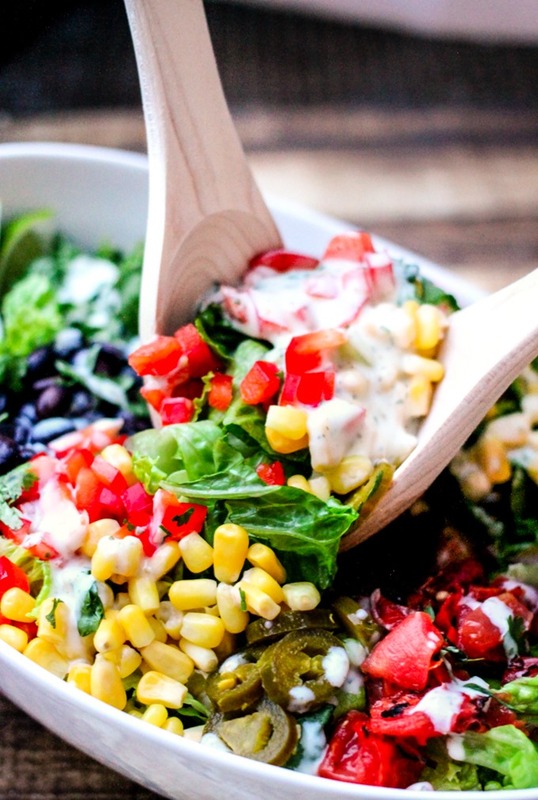 Drizzle jalapeno ranch over your salad. Toss and serve!